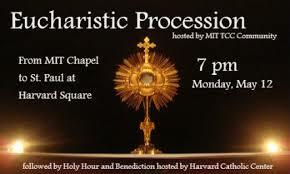 Last night, Harvard cancelled the Satanic Black Mass scheduled to be held on campus. I suspect some of the people championing the “reenactment” were just trying to be part of something showy & noteworthy at the end of the school year and had no concept of the evil they were playing with. Others, like the girl interviewed for the article above, were curious – “thirsting for knowledge,” as she put it. But the planners knew they were playing with fire. As someone who spent more than 10 years living, working, going to church and getting to know Jesus in Cambridge, I’m so glad He sent people to tell those people to put their matches away. It’s not funny to invite that kind of funk into your city. There are repercussions. Last night as I clicked through the stories and videos of the Catholic response to this event, I was delighted to see Joseph’s declaration play out in the spiritually complex city that holds so much of my own faith journey. In lighter news, we’re getting a new roof installed on our house today. The shaking and banging is apocalyptic, and THIS DOG has stealthily jumped on the bed three times so far, certain that there’s no way I’ll enforce the “No Bergie on the Bed” rule when we’re clearly under siege. As I texted to a friend this morning, all this loud noise is WAY better than the sound of rain water drip, drip, dripping INSIDE your house at 3:00am. It never ceases to amaze me how life fills up with things so big…and so small. This entry was posted in Faith and tagged Catholic church, Harvard on May 13, 2014 by Trish Ryan.